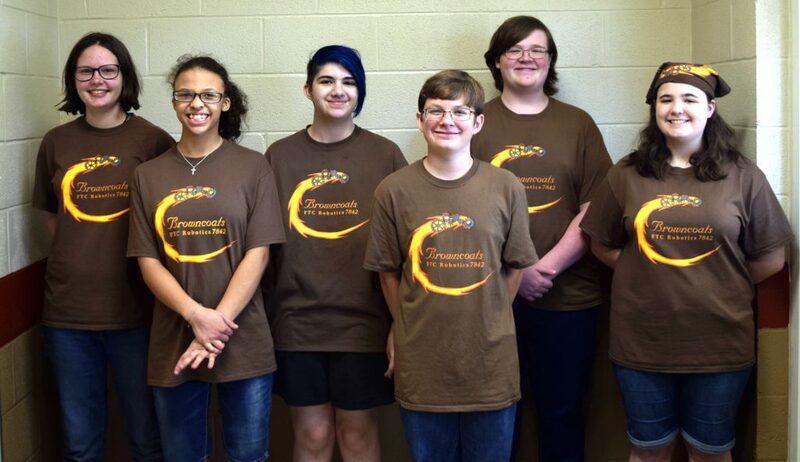 The Browncoats are a community FIRST Tech Challenge team made up of students ranging from 7th-12th grades. We’re from the Huntsville, Alabama area, and we have a mix of public schoolers, private schoolers and homeschoolers on our team. This is our sixth year competing as an FTC team! Our name comes from our favorite tv series, Firefly! Stay Shiny! During our 2017-2018 season, we competed in the Alabama State Championship and finished in 7th place out of 31 teams. We won all but one of our qualifying matches, and then we were picked by team 4949 CAK Warriors to join their alliance and compete in the semi-finals. Our team won the Motivate award, 2nd place for the Think award, and 3rd place for the Inspire award. One of our team members was chosen to be a Dean’s List finalist, and he went to the Houston World Championship and represented the team! Even though we didn’t advance past our State competition, it was a good learning season, and we can’t wait to apply all of our new knowledge towards the 2018-2019 season, Rover Ruckus! Some of our goals for the 2018-2019 season include starting more FTC teams in Alabama and spreading awareness of FIRST and STEM to as many people as we can, both through outreach and our social media. Over the summer and throughout our season, we’ve attended as many outreach events as we can to help spread the word about the program. Because there are so few competitions in Alabama, it is our goal to create more opportunities for teams to compete. We plan to host many scrimmages and workshops, along with our annual Rocket City Invitational! If you would like to apply to join our team, please fill out this application: tinyurl.com/7842application and someone from our team will contact you to come join us at one of our meetings to meet the team!